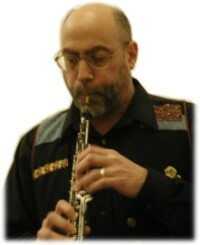 Ken Bronstein, oboe, accidentally stumbled into Klezmer music in 1996 when his friend, band member Michael Oblath, asked him to sit in with the Chelm on a few tunes. 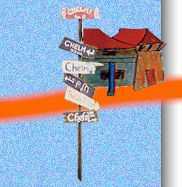 While that proved to be a puzzling, yet not entirely unenjoyable experience for both Ken and the band, it took him until 2001 to become an official Chelmster. Ken's musical education includes both Bachelor's and Master's Degrees in Music, and his performing experience includes extensive work in both orchestral and chamber music settings. Ken currently continues to juggle Klezmer and classical music, in addition to holding down not one, but two day jobs. He also tries to find time to spend with his very supportive wife Marla, and their children Zoe and Caleb, and occasionally practices and makes reeds. 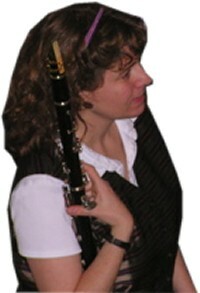 Susan Ediger Blum, clarinet and sax, was inspired at age 10 by an old vinyl recording of Clarinet Polka. She tried to play along with the 78 rpm disc because it was musical fireworks. At age 13, her appreciation of solo work got sparked by Benny Goodman. Then, after hearing the snazzy flashy clarinet solo during the bottle dance scene in Fiddler on the Roof, she knew her true calling was to be a klezmer musician! She yearned for a chance to bend clarinet notes and rules with crazy gymnastics on the sound of the clarinet. So in 2005 she joined the best of all possible worlds, What the Chelm. 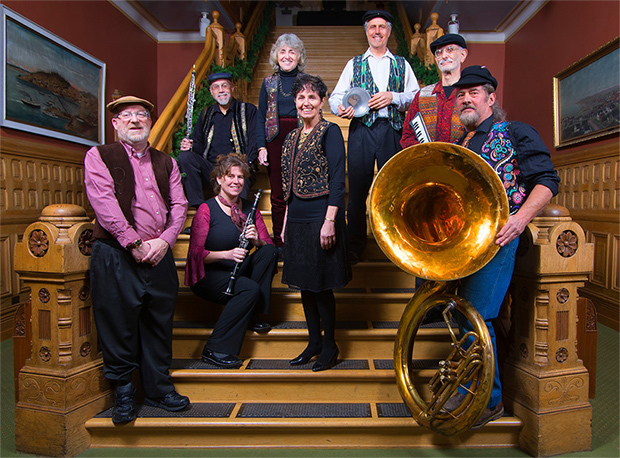 her goal is to immerse herself in klezmer music. Recent influences come from Uriel in the group Segundo Mundo from Buenos Aries, and Giora Fiedman CDs. 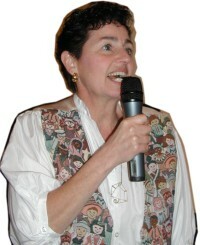 She has music degrees from Undergraduate and Graduate school and continues to study klezmer style. Millie Johnson, vocals, was raised in a musical family, where long car trips were an opportunity for nine part harmonizing. After a 25 year hiatus from her original training as an opera singer, Millie joined What The Chelm and is also a member of Millie and the Mentshn and the Halleck Street Ramblers. A teacher of mathematics for over 36 years, she also loves family, animals, the outdoors, and chocolate. 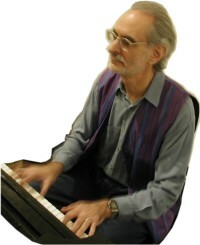 Lou Lippman, keyboards, started formal and traditional piano lessons at an early age and continued until high school graduation--after which he seldom played until being pulled into What The Chelm by his daughter, Leah, who was playing cello in the band, and his son, David, who was playing clarinet. While dusting the rust from his marginal musical skills (playing fake music, and vowing never to return to anything remotely perfectionistic, such as classical repertoire requires) some spin-offs took place. Laura Wyles, vocalist with What The Chelm, recruited Lou as accompanist and, until she left Bellingham for less green pastures in California, they had a brief career in some delightful smoky bars performing torch songs, blues, and jazz standards. Another spin-off was Chrome Dinette, a group consisting of then-Chelmsters Jamie Shea and Michael O'Neal plus Chris Harris. They specialized in "oldies" from the 50s and 60s, and had at least a good 5-year run, concluding with their New Year's 2000 gig. 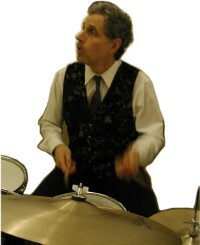 Since then, Lou has provided background piano music for various events and receptions, is a member of The Prawns (a jazz trio that includes Warren Palken, What the Chelm's percussionist), Millie and the Mentshn, the Halleck Street Ramblers, and the Clearbrook Dixieland Jazz Band, as well as various informal and pick-up groups. He has deliberately attempted to become so busy with music that he will be forced to abandon his day job. 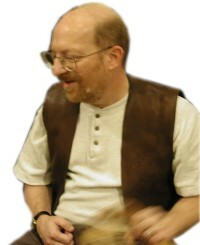 Dan Raas, tambourine and vocals, began his early musical exposure with a combination of traditional and left-wing folk music with several years of classical piano study. He learned harmony and composition while playing piano for his junior high school big swing band, led by teacher Glen Miller. High school brought the obligatory guitar and modern folk participation. College led to chorus and the mandolin, which he took up because his girl friend at the time thought his jug band was top heavy with four people and three guitars. 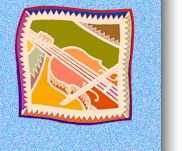 Adult music was desultory participation in various pickup groups, until someone insisted that he join a few friends to play for a Hanukkah party. After that, the deluge. A stroke in 2000 put the mandolin on the shelf, and Dan now bangs on the tambourine and occasionally sings. 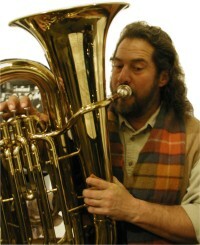 Bill Sterling, tuba and bass, has played in the U.S. Army band, numerous rock bands, and works as a studio musician. He is a long time member and director of the Evergreen Land Trust and consultant to numerous land trusts in formation. 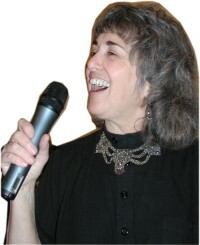 Rena Ziegler, vocals, comes from a family that loves to sing. She detoured from music to a career in mental health; she was clinical director of a community mental health center which was her life's work for 25 years. Now she has a part-time psychotherapy practice and sings with What the Chelm and in small ensembles and solo. Singing and dancing to klezmer music in a wildly colorful flower garden with happy people and dogs would be her idea of "Nacht in Gan Eydn" ("Night in the Garden of Eden," a well-known klezmer tune).